I am inspired by seeing the joy in people as they take a leisurely bike ride, interact with neighbors on the bus, or stop to take in a nice view on their walk! Transportation is about community as much as it is about getting to our final destination, but this is only something we see once we’ve stepped out of our personal vehicles. 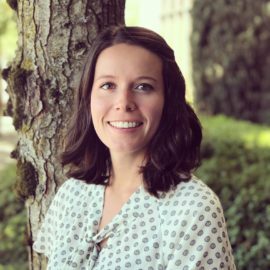 Sydney is a Portland area native with experience working for nonprofits promoting the use of transportation options through education, marketing, and incentive programs. Sydney received her Bachelor’s degree in Planning, Public Policy, and Management from the University of Oregon and is currently a part-time student at Portland State University working towards a Graduate Certificate in Transportation. As the newest member of Alta’s Programs team, Sydney encourages the use of active transportation through transportation demand management (TDM), media campaigns, and other programs intended to change behavior. Outside of work, Sydney loves to travel and experience the transportation systems other cities have to offer – the more modes the merrier!